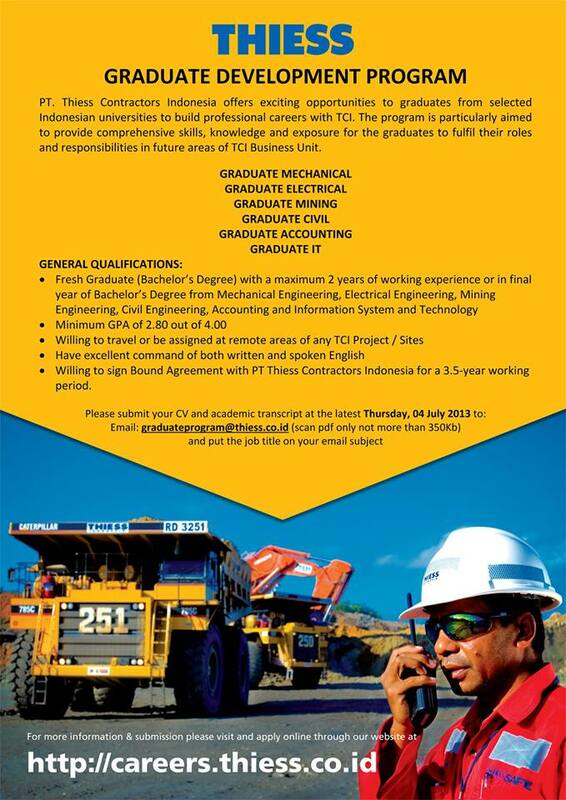 If you want to take your career to a new level and be involved in exciting workplace change and issues, please download form at link below and send your application letter, CV and academic transcript (include other supporting documents) to PT Thiess Contractors Indonesia at email links below. All Application document must in format file (pdf only not more than 350 kb) and put the job title on your email subject. Only qualified candidates who apply on-line will be proceed.